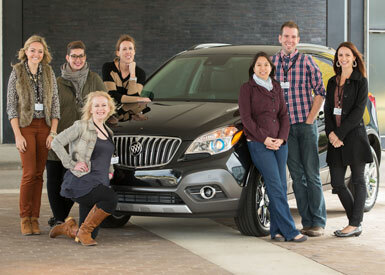 Last week I was invited, along with 6 other bloggers, to the Buick Design Center in Detroit, Michigan to get a special preview of the brand new Buick Encore, which will be coming out early 2013! It was an absolute blast and I'm so excited to be sharing my experience and design concept with you today. 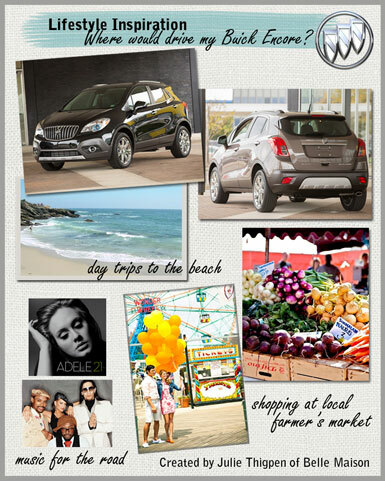 As part of the Buick Encore "Pinboard to Dashboard" blogger program, we've been asked to design our very own dream Encore by creating a Pinboard on Pinterest that reflects our design vision, where we'd take the car, what music we'd listen and more. Getting to see the Encore in person was awesome - it's such a fabulous, stylish, luxury crossover SUV. Described on Buick's website as, "The luxury crossover with premium materials, ingenious design, flexible storage and purposeful technology. It’s like we knew exactly what you were missing in a crossover, and created the versatile Encore for you." 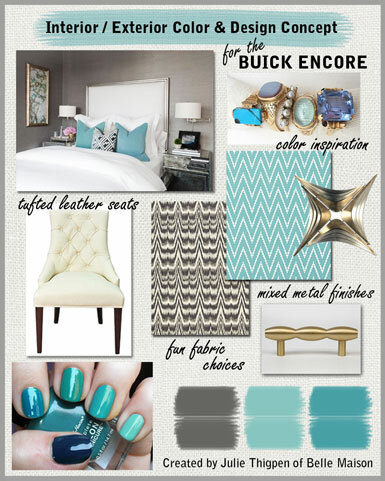 Our Pinbaords went live on Monday and for today's post, I've created two concept boards (using my pins from my Pinboard) to illustrate my dream Buick Encore! When you're finished reading this post, please visit my Pinterest Pinboard (labeled Pinboard to Dashboard / #PinMyEncore) and be sure to follow or like my board and re-pin any images that inspire you. There are a total of 10 bloggers participating in this program and 5 of us will move on to the next round, depending on how popular our Pinboards are...so help a sister out if you like what you see :) ! Concept: Living in Southern California and growing up near the beach, I was inspired to create a cool color scheme with shades of blue, turquoise, gray and soft white. 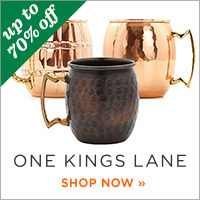 I'd incorporate a limed oak wood finish on the interior accented with mixed metal trim in matte gold and brushed nickel. See more on Pinterest! Lifestyle: I'd take the Enclave just about everywhere! To the beach, farmer's market, weekend getaways to Vegas, on picnics, to Palm Springs...it's small enough to drive on a daily basis but has enough space to hold groceries, shopping bags, a couple of suitcases and more. See more on Pinterest! 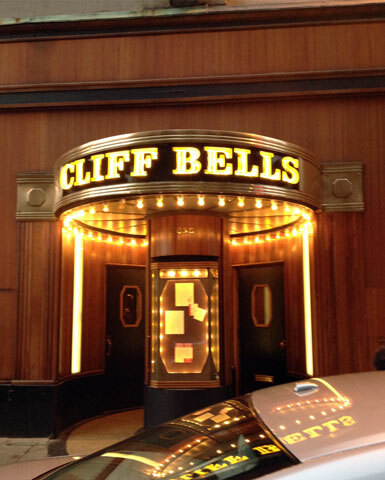 The first night we arrived we the Buick team took us all out to an amazing dinner at Cliff Bells, the oldest jazz bar in Detroit, built in the 1930's. If you ever get the chance, you have to go! 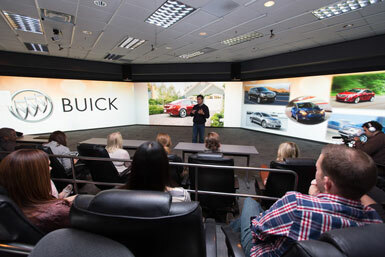 A tour through the Buick Design Center - a place that many people don't get the chance to visit because it's very top secret! This is where the cars of the future are being created and designed! 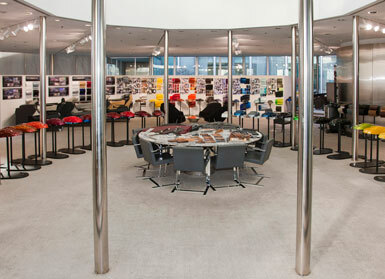 The color and trim department (above) is where the design team works to create the interior and exterior color schemes for all of the cars. I was so inspired to see their creative process! Me with my 6 new blogger buddies! It was a fantastic day and definitely a trip to remember :) Thank you to the Buick team for inviting me to be a part of such a special event and program! Follow Buick on Facebook and Twitter! *Though this post is sponsored by Buick Encore, the opinions shared in this post are 100% my own. Julie! I'm am totally in love with your concept! Beautiful design. Love the matte gold touch. I'm in love with anything gold these days. It was so nice meeting you! And happy belated birthday!! Wow, how much fun was that!! Love the choices as well! Such a great opportunity! Looks like it was an exciting trip! 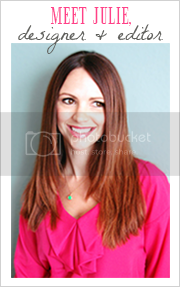 Julie, loved your post and your pinboard! So wonderful to meet you as well. Thank you for taking the time to stop by my blog today. What a beautiful design concept, I love your color choices and love the Buick Enclave, but I'm a little biased since I drive one..